Known as Virginia’s first wine company, Jefferson Vineyards has an interesting history. According to the winery’s website, Thomas Jefferson gave land to Italian viticulturist Filippo Mazzei in 1773. A year later, Mazzei began growing grapes on the property. When the American Revolution began a few years later, the vines were destroyed. Colle, the house Mazzei built, was dismantled in 1930 and later rebuilt in 1939 by Shirley and Stanley Woodward Sr. The Woodwards went on to purchase several hundred acres adjoining the house in order to conserve the land and prevent future developments. 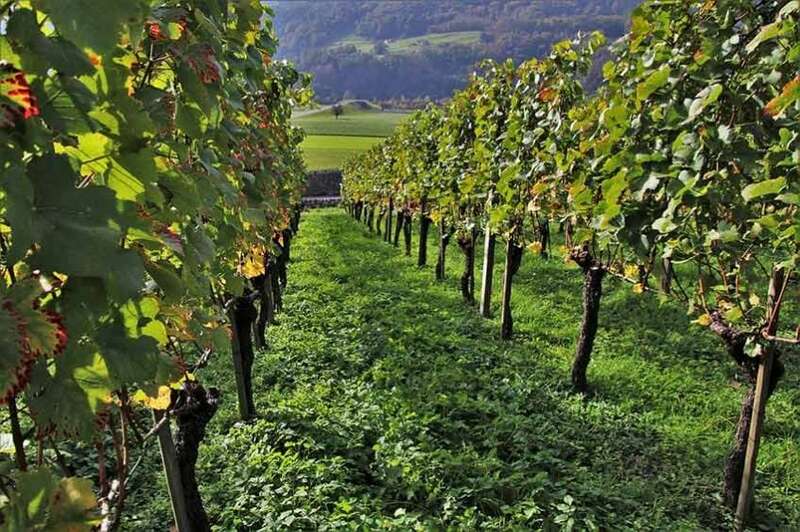 In the 1970s, vines were planted, and by 1984, wine was being produced. Two years later, Italian Professor Mario di Valmarana designed a new building for the vineyard in Italian Palladian architectural style, a style found in the Rotunda at the University of Virginia. Originally dubbed Simeon Vineyards, the next generation of Woodward owners changed the name to Jefferson Vineyards in order to honor the late president. Jefferson Vineyards is still owned by the Woodward family and has received many awards in the wine industry. With eight wines on the menu, the tasting at Jefferson cost $12 and includes a souvenir glass. Try both red and white wine including Viognier, Rose, Cabernet Franc, Petit Verdot, and more. The vineyard is open daily from 11:00am – 6:15pm and is only a 10-minute drive from town. With a beautiful country atmosphere, the vineyard is the perfect spot to relax on the weekend and enjoy a bottle of wine with friends. Well-behaved dogs are welcome, so make sure to bring your four-legged friend along! As one of the oldest vineyards in the area, Jefferson Vineyards offers a rich history, gorgeous setting, and delicious wine. Definitely be sure to add this to your list of vineyards to visit!